We all make mistakes and one mistake shouldn’t ruin the rest of your life. If you were arrested for drinking and driving, you might be scared and maybe even mad. The New York DWI Guide was created by Arthur Pressman to help people understand what they need to do if they were arrested for DWI. When you have been arrested for driving while being intoxicated, you could be facing serious penalties. A DWI can be traumatic, embarrassing and result in serious consequences. In New York, driving while intoxicated (DWI) is a criminal offense and, if you are convicted, can result in a criminal record, suspension of your license, fines and often jail time or probation. Challenging a DWI in New York can be difficult and requires an experienced Buffalo DWI Attorney to prove that an error occurred during your arrest or alcohol testing. Your DWI case is thoroughly examined to ensure that your constitutional rights have not been violated. The validity of the stop: A possible error that can be made is when the police officer is lacking probable cause for making the stop. The qualifications of the person conducting the test: The person conducting the test or operating the machine must be certified or qualified in accordance with the law of the state. The testing can be ruled invalid if any discrepancy is discovered. The accuracy of the evidence presented: Conducting a thorough investigation of the arrest report and data gathered, including breath tests and blood work. It is easy for labs to make errors that affect data. A DWI conviction can result in immediate and serious consequences. Drunk driving penalties in New York are severe and can have a cascading effect on your driving privileges, employment, and assets. Driving while intoxicated: You may be convicted of a DWI if your blood alcohol content (BAC) is 0.08% or higher, and you demonstrate other evidence of intoxication. 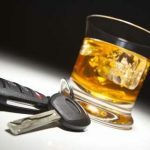 Driving while ability impaired by alcohol (DWAI-Alcohol): In New York, you may be convicted of a DWAI-Alcohol if you have a BAC of between 0.05% and 0.07% or if you show other evidence that you are impaired. Driving while ability impaired by a drug other than alcohol (DWAI-Drug): This charge can result if you are found to be impaired by chemical substances other than alcohol. Refusal to take a chemical test: When you refuse to take alcohol testing by blood or urine, or by a host of other means, at the very least, your license may be revoked and you’ll have to pay a $500 civil penalty. Zero tolerance law: If you are a New York driver under the age of 21, you are charged with a DWI if you are found to have any traces of alcohol in your system while driving. Multiple DWI convictions: Prior DWIs can lead to harsher penalties if you are convicted. Even a single prior offense can quadruple jail time and double fines. Denying yourself the proper representation may have devastating consequences for your future, especially for multiple violations. Having a tenacious DWI Lawyer on your side can make all the difference. New York has a zero-tolerance law for motorists under the age of 21 who drink and drive. While the threshold for blood alcohol content in a standard DWI is 0.08 percent, a driver under the age of 21 can be cited for as little as 0.02 percent BAC. That means that young drivers who might not even be impaired can face criminal charges and administrative penalties. At least 0.02 but not more than 0.07 percent — This may lead to a charge of “driving after having consumed alcohol,” a civil offense heard before an administrative judge of the Department of Motor Vehicles. Punishment is six-month license suspension and a $125 fine. If there is a prior conviction, the driver’s license is revoked for one year or until the driver reaches 21 years of age, whichever is longer. More than 0.05 but less than 0.08 percent — Police have the option to charge “driving while ability is impaired by alcohol” (DWAI), a traffic infraction heard in criminal court. A first-time conviction is punishable by up to 15 days in jail, a maximum $500 fine and a one-year license revocation. Between 0.07 and 0.08 percent — Police will charge DWAI. Equal to or greater than 0.08 percent — This is driving while intoxicated (DWI) per se. A first offense is a misdemeanor, punishable by up to a year in jail, a maximum $1,000 fine and a revocation of your license for one year. Moreover, since it is illegal for underage persons to consume alcohol, the arrest opens the door to additional charges based on the officer’s observations, such as possession of false identification, distributing alcohol to minors, and minor in possession of alcohol. If you or your child has been arrested for a zero-tolerance DWI, there are ways that an experienced attorney can manage the case to mitigate the consequences. In rare cases, a police officer may have lacked reasonable suspicion for a traffic stop, so any evidence gathered is tainted and the charges go away. Authorities also make procedural errors occasionally that compromise forensic evidence, rendering it unreliable or inadmissible. While such cases are as rare, there are additional pragmatic steps an experienced attorney can take to provide substantial assistance. As cited above, the authorities have discretion as to what offense they charge, and the court has broad discretion as to time served and fines imposed. A skilled attorney can often negotiate an appropriate reduction in charges and penalties. As for license suspensions, your attorney can make an effective argument for a restricted license that will allow a youth to commute to school and/or work. What Should I Do if I Was Arrested for a First Time DWI? A first-time offender in New York State who’s convicted of driving while intoxicated will have a criminal conviction. This will appear on your record both for your DMV and a criminal history the rest of your life. It is not sealed. It is not expunged. It will never go away. The first-time penalty for driving while intoxicated in New York State, is a six-month revocation of your license, a $500 minimum fine, and a $400 mandatory state surcharge. You will also have to install in your vehicle an interlock ignition device at your expense for at least six months. There is an installation cost and a monthly cost of having the interlock ignition device in your vehicle. You will also have to attend a victim impact panel. That is one class where you will meet people who have relatives or they themselves were victims of potential DWIs or accidents of someone who was DWI. To get a restricted or conditional license during the period of your revocation, you’ll have to attend an Impaired Driver Program. This is a program that is offered to give you a restricted license during the period of your revocation. The courts may, on their own discretion, impose other conditions. Sometimes it’s community service, sometimes it’s counseling, but there are a wide variety of options open to them. There is no set answer. Each case is unique and based on the facts of your arrest. It can typically take anywhere between two to four months to resolve a DWI case. However, if you have a complicated case and a complicated set of facts it could take longer, sometimes up to one year. During a DWI investigation, you may be charged with driving while your ability is impaired by alcohol. This means that your blood test reading was a 0.06 or 0.07, lower than the threshold for driving while intoxicated. This is a noncriminal traffic infraction. If you are convicted of driving while impaired by alcohol, you will not get a criminal record. However, your license may be suspended, and the court may impose mandatory surcharges and fines. When you are pulled over for a DWI, a police officer may ask you to take a portable breath test. We call that the Alco-Sensor. That is a hand-held device that the officer uses to measure your blood alcohol in your system. This is not admissible in New York State court, but it does allow the officer to determine whether you have any alcohol in your system. The alco-sensor is just another tool in the arsenal that they use against you in determining whether you are driving while impaired or driving while intoxicated. The next area where most people don’t realize that they can refuse is the field sobriety tests or the FSTs. Those are the tests when the officer has gotten you out of the vehicle and wants you to perform certain field sobriety tests on the side of the road. You are under no obligation to take any of those tests. You can refuse each one of those without penalty. This will prevent the officer from gathering evidence that may be harmful to your case. The most common area of confusion is whether you should take the Alco Sensor test, which is on the side of the road. You do not have to take the Alco Sensor test. It is a traffic infraction for not taking that test, however, it is not a criminal offense to refuse the Alco Sensor test. Once you’re back at the police station, this is where you are given the breathalyzer or the data master. These are machines. These machines will measure your blood alcohol in your system when you blow into it. This is not an easy question to answer. I tell most people that so much of this depends on how much they had to drink, when they had the drinks, whether they had anything to eat, and whether they have a prior conviction for any alcohol-related offense. These factors, only an experienced Lockport DWI Attorney can answer. There is an administrative proceeding that you can have to fight whether you voluntarily refuse to take the breath test. This is given at a Department of Motor Vehicle hearing. The best course of action is to contact an experienced Lockport DWI Attorney if the police officer lets you make a phone call. What are Some Typical Field Sobriety Tests? Another common test is the one-legged stand. You are asked to raise one of your legs six inches above the ground and hold it there for 30 seconds. Sometimes, you are required to count out-loud the 30 seconds. Other times, you are required to count silently to yourself. Again, in this instance, the officer is observing whether your leg is so many inches above the ground and whether you hold it up for 30 seconds. Another common test is the finger-to-nose test. This requires the person who is being observed to take the tip of one of his fingers, extend his arms out, and touch the tip of his nose, and do it with both hands. Typically, you must do it three times with each hand. With your head remaining straight and your body not swaying or moving at all. The officer is observing you for whether you follow the directions properly and whether you could touch the tip of your nose with your finger. Another test given is called the Romberg Test. The Romberg test requires you to stand at attention with your feet together, tilt your head back, keep your arms at your side, and hold it there. The officer is looking to see whether you are swaying either side to side or back and forth. Another test given is the alphabet test. Surprisingly, most people who are intoxicated or impaired by alcohol or drugs are not able to perform this test. It’s usually as simple as saying the ABCs from A to Z or sometimes starting at the third or fourth letter such as C or D and finishing at W, but again, the officer is observing you as to whether you are following directions and whether you can say your ABCs. What Happens If I Get Arrested for a Second or Third Time DWI Offense? If you are charged with a DWI in New York State, and you have a prior conviction for driving while intoxicated in the last 10 years, you will be charged with a felony. Ten years is the cut-off point in determining whether the case will remain a misdemeanor or a felony. If you have a prior driving while impaired conviction within five years, penalties are increased. If you have three driving while impaired convictions within 10 years, what is normally a non-criminal infraction is elevated to a misdemeanor conviction. Remember, two driving while intoxicated convictions in 10 years is a felony. Three driving while impaired convictions in 10 years is a misdemeanor. Does the DMV Take Any Action Against Persistent Drunk Drivers? Recently, the department of motor vehicles has begun the enforcement of persistent drunk drivers and persistent bad drivers. What this means is a person who has multiple DWI convictions or driving while impaired convictions over a certain period runs the risk of having their license revoked for 5 years, 10 years, or a lifetime. If you have 5 or more alcohol related convictions over the last 25 years, DMV may revoke your license for life. If you have several incidences of refusing to take a breath test along with a driving while impaired or driving while intoxicated conviction, the department of motor vehicles may revoke your license for 5, 10, or a lifetime. Please, be aware when consulting with a lawyer, that you give them all the information regarding previous convictions for driving while intoxicated, driving while impaired, reckless driving, and any time you may have refused to take a breath test. Leandra’s Law is a new law in the last couple of years that the legislature enacted in New York State. This law means that if you are found to be in an intoxicated condition with a .08 or higher BAC in a vehicle where there is a child under 15 years of age, you may be charged with a felony. This means that you will be facing state prison time, a longer suspension or revocation of your license, and greater fines and penalties than being in a car with someone who is over 15. If you are charged with an aggravated DWI in New York State, this means that you registered a .18 or higher when given a breathalyzer or blood test. The penalties and sanctions are more severe with an aggravated DWI. In New York State, for a first-time offender, your license will be revoked for one year, and the minimum fine will be $1000. Can I Get a DWI While Driving on My Prescription Medications? Many people nowadays take prescription medication for pain relief or other ailments. I was recently in the court in the town of Elma representing a woman who was taking pain medication for a long-term back ailment. If you are driving under the influence of pain medication and you’ve exceeded the amount you’re supposed to take or it’s a narcotic and you are impaired by this narcotic, it is a crime in New York State. It is the same thing if you are convicted of driving while impaired by marijuana, cocaine, an opiate, or any type of prescription medication. You are not allowed to drive in New York State if you are impaired by the prescription medication you are taking. Is DWAI by Drugs Easier to Defend than DWI by Alcohol? New York has a separate law that prohibits a person from operating a motor vehicle while the person’s ability is impaired by drugs. The penalties for DWAI-Drug convictions are the same as for driving while intoxicated (DWI). A first DWAI-Drugs charge carries a mandatory fine of $500 to $1,000, up to one year in jail and six-month license suspension. A second DWAI-Drugs charge within 10 years is a class E felony. The punishments are a fine of $1,000 to $5,000, and up to four years in prison. Your driving privilege is revoked for 18 months. A third offense within 10 years carries a fine of $2,000 to $10,000, up to seven years in prison and a revocation of driver’s license for 18 months. New York law clearly defines “intoxicated” for a charge of DWI — if a person’s blood-alcohol content is .08 or higher for holders of driver’s license or .04 for holders of commercial licenses, the person is guilty of DWI. For DWAI-Drugs, on the other hand, there is no clear definition of what exactly “ability impaired” means. In these cases, prosecutors must introduce sufficient evidence of the driver’s impaired ability, such as dilated eyes, behavior, and smell, to support the charge. This obligation to introduce evidence allows an attorney from a New York DWI law firm to challenge the evidence presented and introduce additional proof that the driver’s ability was not impaired. In addition, when charged with DWAI-Drugs, you can plea bargain to a lesser charge — New York law does not allow plea bargaining in DWI cases. The ability to plea to a lesser charge enables a NY DWI attorney to help you resolve the matter more favorably. When charged with DWI, your license is suspended until the matter is resolved. When charged with DWAI-Drugs, you usually do not lose your driving privileges during trial, which makes the entire process easier. To prove a DWAI, which is driving while ability-impaired by drugs, police agencies must utilize a drug recognition expert. We call that a DRE. That is a police officer who has gone through special training and certification to recognize the symptoms of someone who has ingested or smoked different types of drugs. The DRE will give an opinion as to whether they are impaired by drugs. What Should I Do if I Caused an Accident While Drunk Driving? If you get into an accident while driving while intoxicated either by alcohol or drugs, do not flee the scene. If you flee the scene, additional charges will be added. It’s best to call 911, make sure no one is hurt, cooperate with the police as far as giving them your name, and your address. As always, you do not have to tell them how much you had to drink, you do not have to perform any roadside field sobriety tests, nor do you have to take a breathalyzer test or chemical test back at the station. A hardship license is different than a conditional or restricted license. A hardship license is only available within three days of your arraignment on your driving while intoxicated charges. A hardship license is granted at the discretion of the court or the judge. It is not a guaranteed right. It is something that a court can decide whether you are given a hardship license. A hardship license will only allow you to drive to and from work for the first 30 days of your case. You may not use your license to run errands, to go to the doctor, or if you were, say, a salesperson, to go to and from different appointment. It only allows you to go from your home to a fixed residence or place of business. The court will take that information down and put it on the hardship license, the address, and the times that you are working. This available for the first 30 days, and after 30 days, if you are eligible, you may apply to the DMV for a more expansive conditional or restricted license. What is a Restricted or Conditional License? When you’re convicted of driving while intoxicated or driving while impaired, your license may be suspended or revoked for a period. This means that your full driving privileges are no longer in effect. However, if you are eligible, under most circumstances, you will be able to get a restricted or conditional license. What this means is that if you attend a program called the DDP program that DMV offers, they will issue you a new license that says Restricted on it or a conditional license that allows you to drive to and from work, to and from school, to and from medical appointments, and so many hours a week to conduct personal errands. Typically, the DMV will ask you to pick a day, and you’ll be able to drive three hours a day on that day to run all your personal errands. This conditional license does not allow you to go to bars, to go to restaurants late at night, to go to friends’ homes, or you’ll be committing a new infraction which may result in the revocation or suspension of your license again. What Happens if I Get a DWI and I am from Out of State? If you are an out of state driver or you’re a Canadian driver, it is important to know about reciprocity. This means that our New York State DMV will report to 45 states; the province of Ontario, and the province of Quebec; any points you may receive on your license while driving in New York State. It is important to defend your charges in New York State with an experienced Lawyer so your home state or home province does not impose additional penalties and sanctions on you for receiving points in New York State. Can I Get a DWI Expunged or Removed Off My Record? In New York State if you get arrested and convicted of a DWI or a lesser charge of driving while impaired, that cannot be sealed or expunged. The reason being is the prosecutors in law enforcement need to look back on your driving record to see if you have any previous convictions. If you do have previous convictions for an alcohol-related offense, your penalties on a future arrest can be enhanced. Can I Go to Canada with a DWI on My Record? If you are convicted of driving while intoxicated by alcohol, driving while impaired by alcohol, or impaired by either alcohol or drugs, the Canadian authorities will exclude you from entering Canada for a minimum of five years. After five years, you may apply for a minister’s permit to get special permission to enter Canada if you satisfy certain conditions. After ten years, you may be admitted to Canada without any restriction.